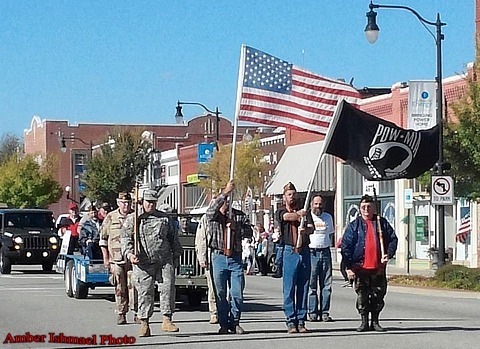 Sorry, I had to be out of town Nov. 11th, so I missed the 2015 Collinsville Veterans Day Parade, but I did find the photo above from Amber Ishmael's Facebook post. Parade Route: 15th Street at Main, then east to 5th Street. Participation Fees: NO Entry Fees this year! and should answer any questions you may have. If not, please let me know. 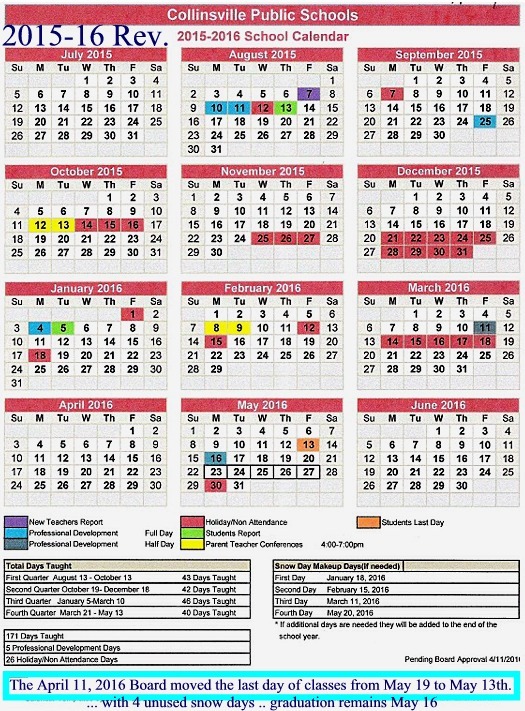 than Friday, December 4, 2015. 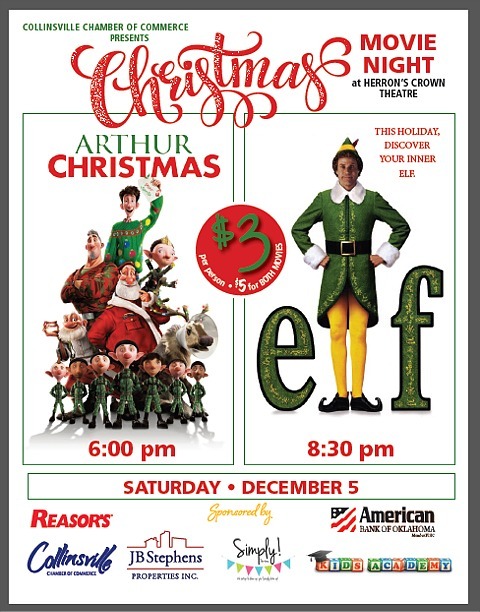 Collinsville, OK (November 17, 2015)  The Collinsville Chamber of Commerce is hosting a Double Feature Holiday Movie Event on Saturday, December 5, 2015. The popular childrens film Arthur Christmas will be shown at 6:00 pm. Following Arthur Christmas, the hilarious film Elf will be shown at 8:30 pm. The event will take place at Herrons Crown Theater at 1015 W Main St in Collinsville. Arthur Christmas, released in November 2011, follows Santa's clumsy son Arthur as he gets put on a mission with St. Nick's father to give out a present they misplaced to a young girl in less than two hours. Elf, released in November 2003, follows Buddy, a baby in an orphanage who stowed away in Santa's sack and ended up being raised by elves at the North Pole. After inadvertently wreaking havoc on the elf community due to his ungainly size, Buddy is sent to the U.S. in search of his true identity. Admission prices are $3.00 per person per movie or $5 per person for both movies. Concessions items such as popcorn, soda and candy will be available for purchase. Doors will open 30 minutes prior to show time. Plan on arriving early for best seating. 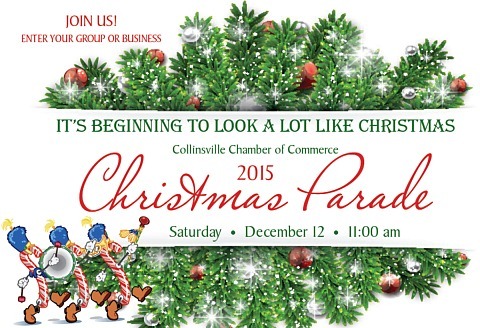 For more information, please contact Melissa Carlson at melissa@collinsvillechamber.org or 918.371.4703.